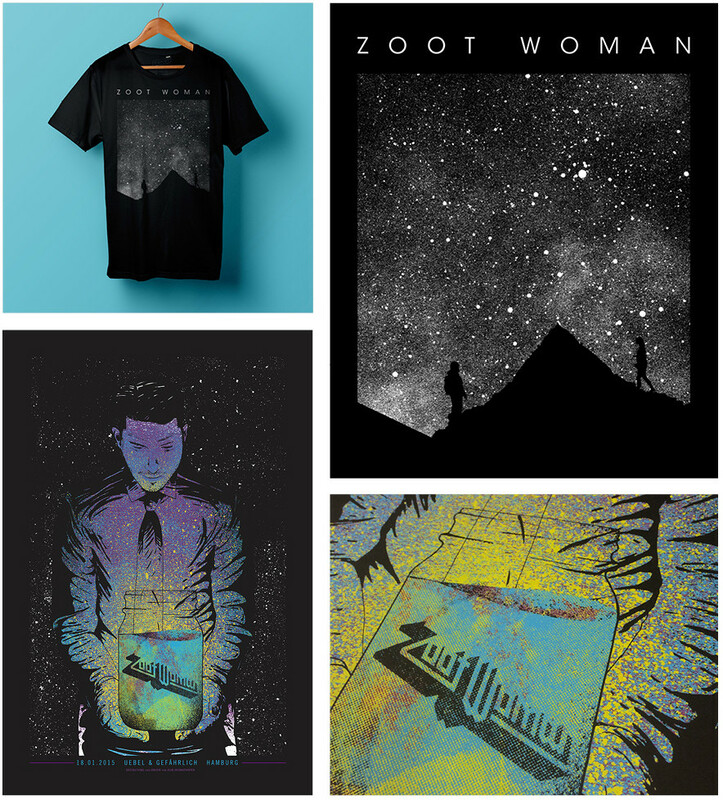 Zoot Woman create music that is made for the dark hours, you can listen to it on endless drives under the stars or you can dance the night away in every club and I did this many times. So I was honored when I got the job to create original merchandise for them. The latest record of the british band is called „Star climbing“ and therefor the management was searching for a merchandise design that incorporates that title. Another theme on the record are human relations, the barriers of friends and lovers. The poster was created especially for the show in Hamburg, it's a 4 color print on heavy black paper stock.